Recently, China Movie Media Group (CMMG) was awarded “Entertainment Integrated Marketing Grand Award” for its theatre integrated marketing campaign customized for TCL Corporation. The Third 5S Golden Awards was co-hosted by Advertiser (magazine) and the Graduate School of Management, Communication University of China, on Friday afternoon, December 6th, in Beijing. China Movie Media Group (CMMG) was awarded “Entertainment Integrated Marketing Grand Award” for its theatre integrated marketing campaign customized for TCL Corporation (http://www.tcl.com/en.php). Many industry experts and senior managers from entertainment companies attended this Forum. This year’s theme for the forum was “integration and innovation” of entertainment marketing tools, and attendees discussed the current situation and possibilities for future development. Meanwhile, various marketing awards were given to industry practitioners for their innovative spirits. With rapid developments in modern marketing tools such as social media, online videos and product placement, such forums become crucial in keeping abreast of developments in communication technology and media integration of entertainment marketing. CMMG is the only Chinese movie marketing company providing services in publicity, distribution, exclusive movie importing, product placement, joint promotion, pre-show ads, and comprehensive in-theatre interactive marketing. Since 2011, GMMG has become the largest pre-show ADs provider in China. In 2012, CMMG completed building the largest exclusive in-theatre interactive marketing system; and it has accomplished more than 200 marketing campaigns so far. 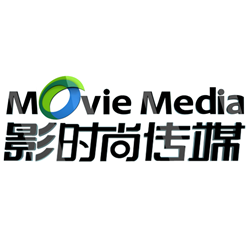 CMMG is the most valuable and influential movie marketing company in China. More information can be found at http://www.movie-media.com.cn/.